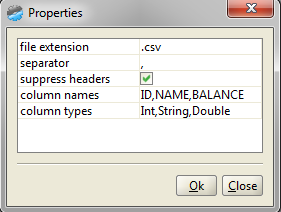 You are not restricted to csv files, you can use any text file in which data is separated through a special separator. 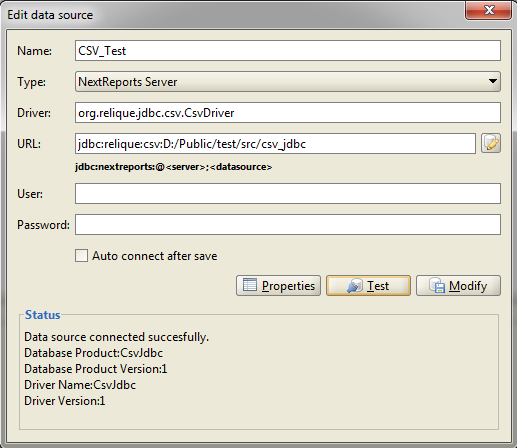 Csv file may contain the columns names on the first row, but generally those names should be specified in driver properties. 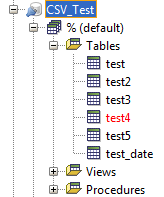 Here user can also define the types for columns choosing between Int, String, Double, Boolean and Date. 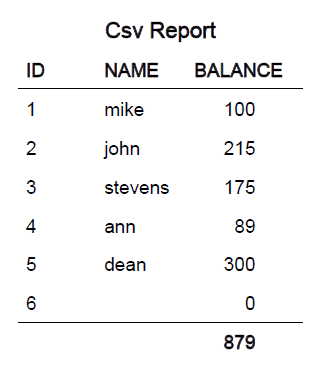 When we connect to the CSV data source we will see the csv files from that folder as tables and we can use them to create a report just like with any database data. The only restriction is that a query must be done on a single csv file. We cannot make joins between such tables.